Built in 1876 and located in the main street of Angaston. Hardy and brother Bert were third generation Doddridges working this Blacksmith Shop. In 1965, when in his eighties, Hardy shod his last horse. He kept working other parts of the ‘smithy’ until the 1970s. 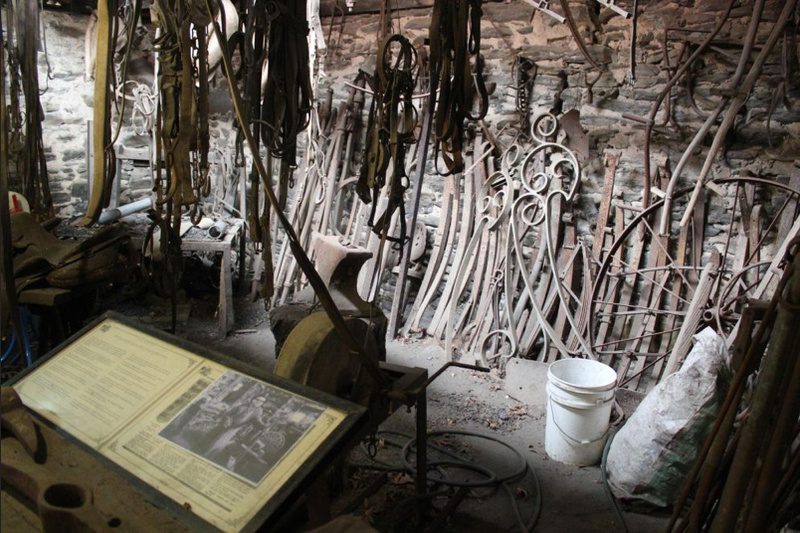 Doddridge’s Blacksmith Shop shod cart and riding horses, and made wrought iron for carts, buggies, ploughs and tools. 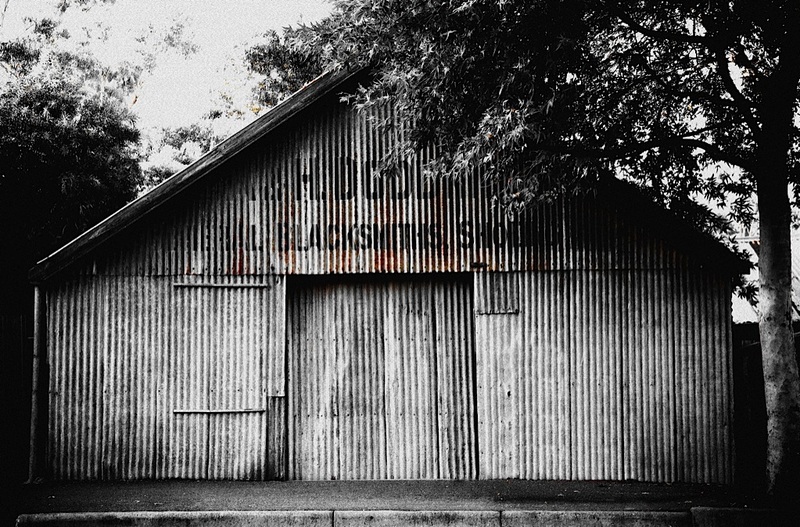 Blacksmith shops were an essential part of rural life and this is one of the very few remaining main street ‘smithies’ in South Australia. It is an extremely significant vernacular industrial building. After Hardy’s death in 1981, local residents rallied to purchase many of the tools and sought to preserve the long and continuous association with the Doddridge family. It was officially opened to the public on 25 October 1996. 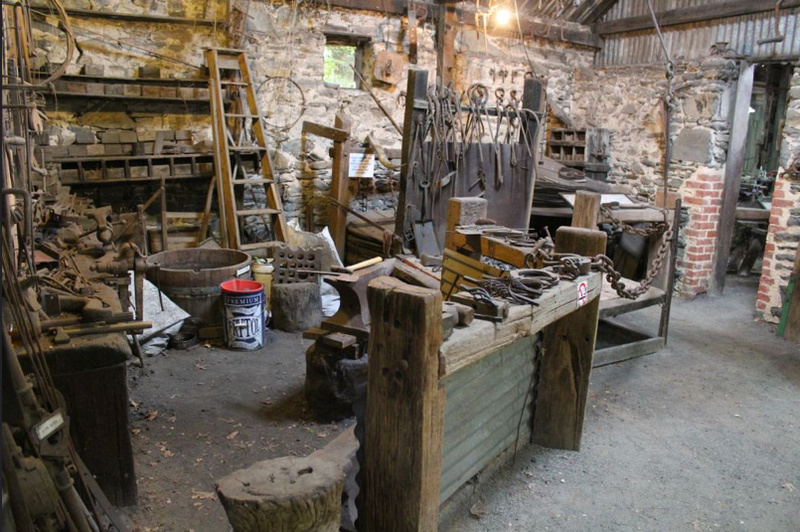 The museum is dedicated to the skills of the blacksmith, it is steeped in history with over 130 years of blacksmithing at this site and many of the original tools and equipment make this a real trip back in time. Bus Groups and weekday tours by appointment.